Click here to see more videos with our Acne Scar Treatment Playlist! 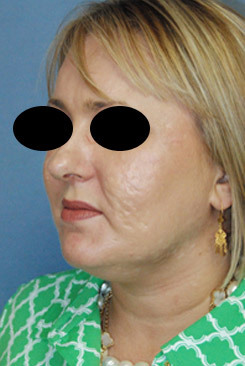 Above: Asian age 40's Female from Seattle, Washington who had Acne Scarring for Years. Learn why a Professional Sports Team Coach, Grammy Nominee, Seattle & New York Broadway Lead Actresses, Executives of Fortune 500 Companies, & The Owner of the Northwest Women's Show have Chosen Seattle's Acne Scar Surgeon Dr. Philip Young and Our Team! The Beauty Advantage: Are you tired of feeling self conscious about your scars? Do you feel like people are staring at your scars more than listening to what you're saying. Just like some of these people, you can have these same results. Changing those scars that you've had for all of those years can possibly change your life for the better. As the discoverer of a New Theory on Facial Beauty, Dr Young knows the power of beauty. Some call it superficial or vain. On the contrary, Dr. Young thinks it could be one of the deepest things that people find important. As you might have seen many times before in your life, beauty gives certain people many advantages that are often overlooked. The question really is "why is Beauty so important to us?" According to Dr. Young, it all comes down to our appreciation for order. We want order in our lives because that's what make us happy. Beauty is order in the face. 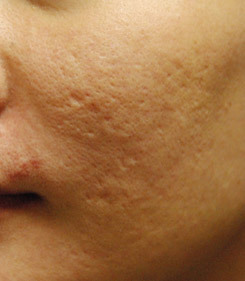 With Acne Scars, this order is highly disrupted. Thus, reducing your scars can bring some of this order back and with it possibly many of the benefits of beauty. Award-Winning, Double Board Certified and Published Author Dr. Philip Young has over 12 years of experience treating Acne Scars and changing peoples lives. Find out why people from around the world come to see him and the other reasons that set Dr. Young and his Team apart (Follow this to find the Top Ten Reasons to choose Dr. Philip Young). However, more than anything what makes us unique is Dr. Young’s groundbreaking Theory on Facial Beauty called the Circles of Prominence. 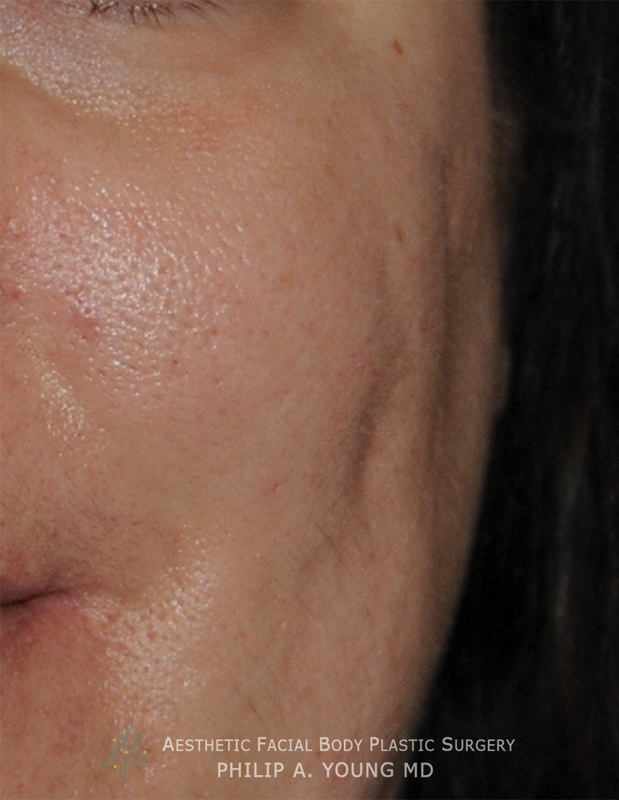 Read more below to find out how our background is leading to innovative approaches to Treating Acne Scarring and Acne Scar Revision. Dr. Young has a rewarding experience treating patients who have acne scarring as well as maintaining their acne to avoid further scarring. Scroll down for more of our before and afters. 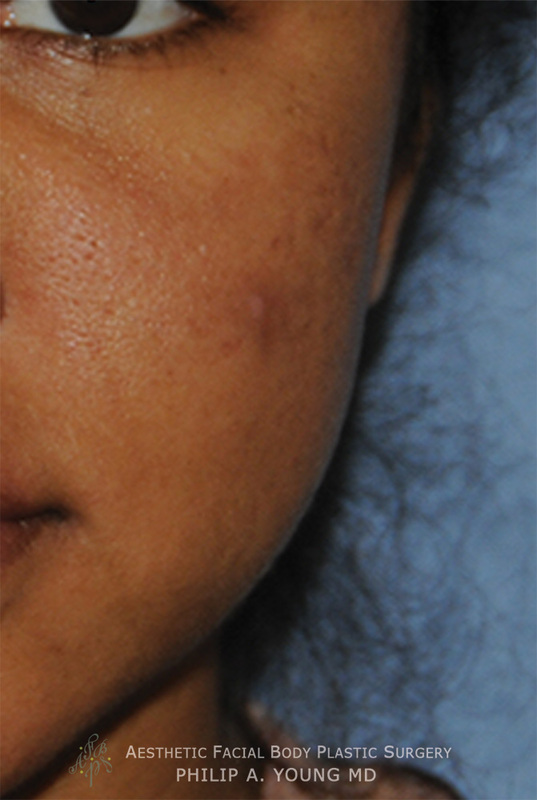 Click here to learn more about Dr. Young's approach to Acne Scar Treatment. 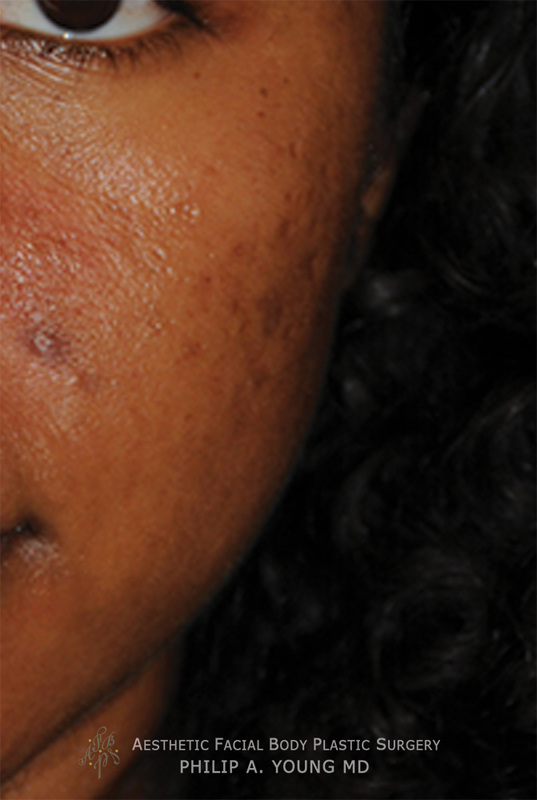 We have been continually improving our approach to acne scarring over the past 15 years. 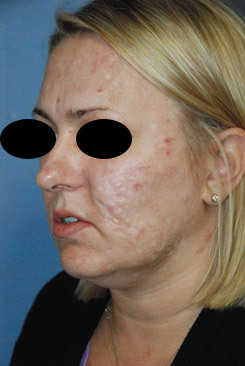 We do not believe that acne scarring can be treated with co2 resurfacing alone. 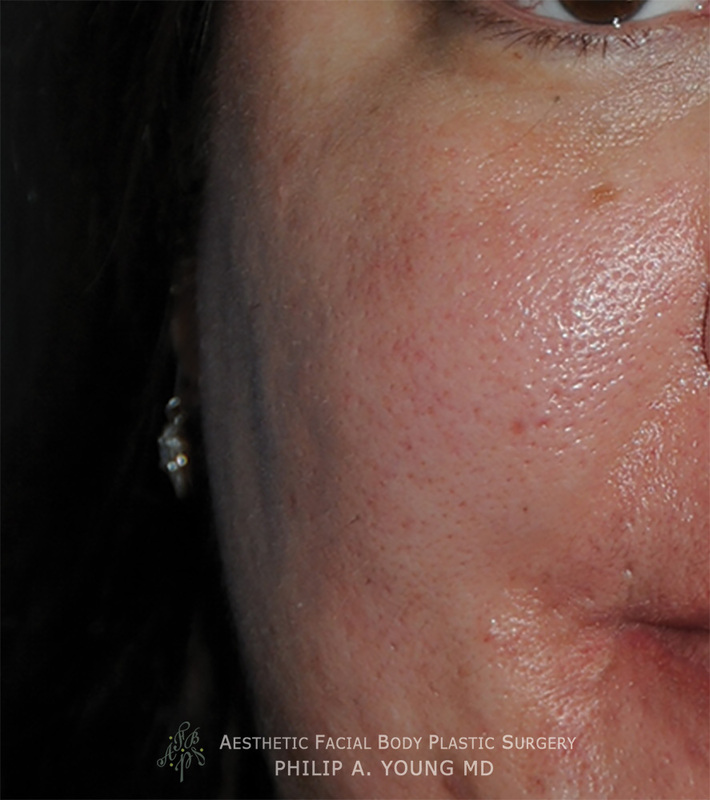 Although some scars can be improved with co2 laser resurfacing, many siutation require more than this approach. 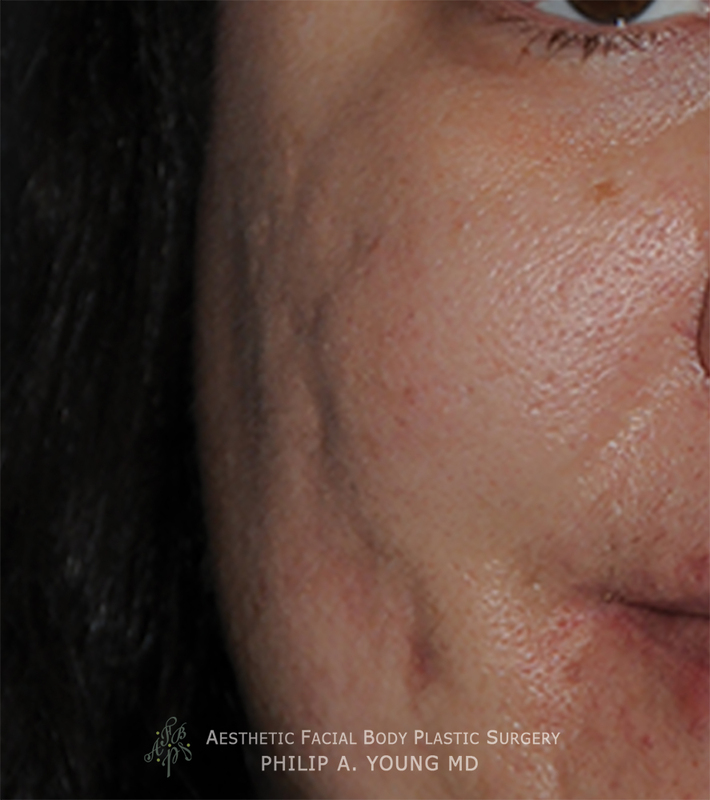 In order to treat ice pick scars, boxcar scars, depressed scars, elevated scars, and pigmented or red scars, etc you need a multiple-step approach that treats acne scars from multiple levels and layers. We have a 5-7 step process that is all done in one treatment in about 2 hours that can attack all of those elements of acne scars. 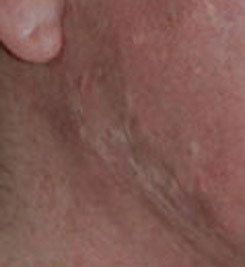 It incorporates using laser resurfacing, further resurfacing techniques, volumizing in the deeper layers with multiple approaches as well as individual treatment of each scar based on the particular qualities of that scar. Why do we have to be concerned about acne involving all the layers of the skin? 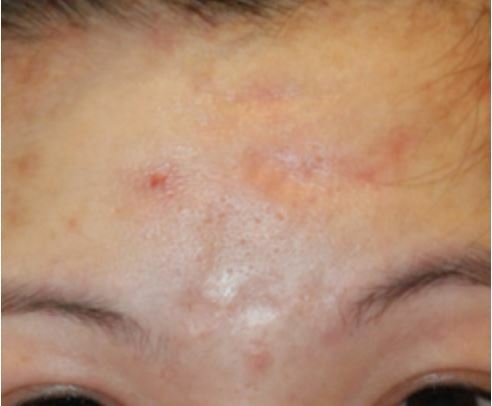 Acne involves and is centered around the hair follicle. 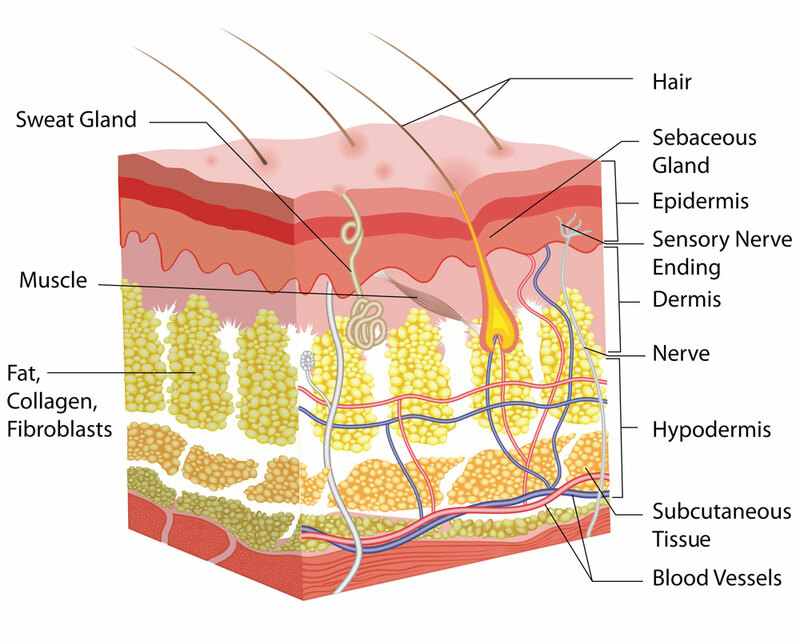 The picture below shows the hair follicle as it extends into multiple layers of the skin including the epidermis which is at the top and the dermis which is further below. 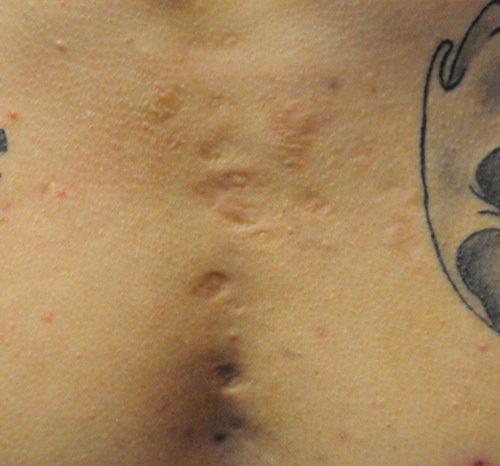 Even further below the subcutaneous tissue is found as can be seen by the fat globules in the picture. Below the subcutaneous tissue is the location of the muscles. As you can see because the hair follicle extends so deeply, when the hair follicle gets plugged and then infected, it can involve all the layers of the skin. Treatment of the superficial layers of the epidermis and the most superficial layers of the dermis, leaves a lot of the acne scarring that is located deeper. 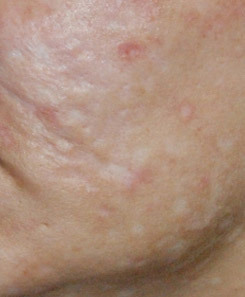 The better approach that gets better results is treating all of these layers through the Acne Scar Vitalizer Treatment. An array of chemical peels that we fit specifically for your skin to keep the acne controlled. Detailed Acne Skin Care Regimen: The basics include a salicylic acid cleanser, a Retinol Topical Product, and an at home glycolic peel for starters. Acne Oral medications: For breakouts, oral antibiotics are useful. 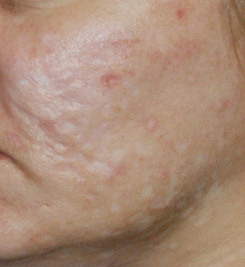 For prevention: hormonal treatments, accutane are considered but are much later options. Acne Topical medical treatments: in addition to the above, we include a topical clindamycin gel for spot treatments. Other options exists to tailor into your individual skin care program. Learn about Acne Scar Vitalizer Treatment™ our new approach to Acne Scar Treatment that we think will revolutionize the way we treat Acne Scars. 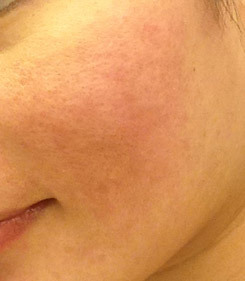 See a Photo Healing Diary for the Acne Scar Vitalizer Treatment! 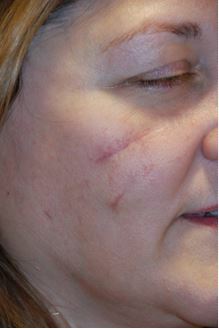 Scar Revision Testimonials: click this link to read about our testimonials. 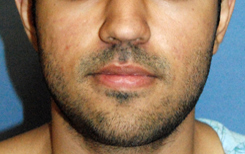 See more Scar Treatment Before and After Images with this link. 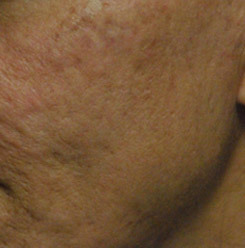 With his CO2 laser resurfacing, Dr. Philip Young has a special technique that he terms “Graduated CO2 Laser Acne Resurfacing Treatment,” which can target the depressed scars preferentially to allow them to elevate to the level of the rest of the skin. 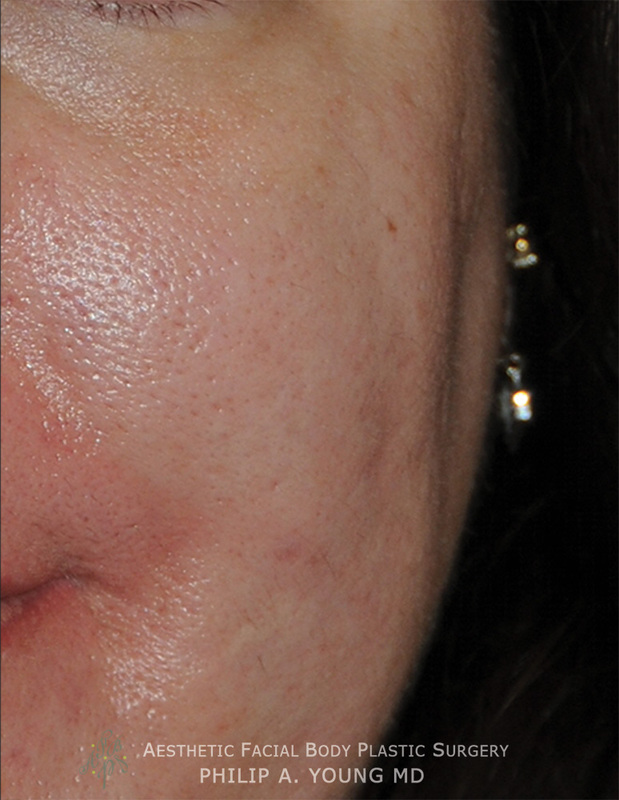 If you are having cO2 laser resurfacing as part of your treatment for your acne scarring, you need to read all the links on our cO2 laser resurfacing page prior to treatment.